The University of Nebraska State Museum and the University of Nebraska-Lincoln Department of Earth and Atmospheric Sciences will host Dinosaurs and Disasters, a family fun day with scientists, from 9:30 a.m. to 4:30 p.m. Feb. 4 at Morrill Hall, 645 N. 14th St.
Nebraska scientists, graduate and undergraduate students will provide hands-on activities and demonstrations to help visitors better understand change over time. 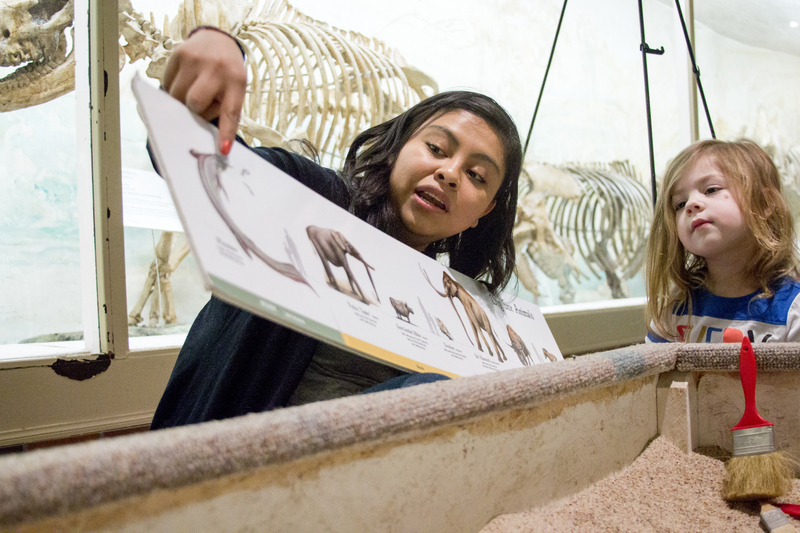 Children and their families can test their knowledge of the Earth's history, learn about animals and their environments, past and present, and even go back in time in the "Antarctic Time Machine." Guests are encouraged to bring a rock or fossil for a scientist to identify. Mueller Planetarium will present the fulldome show "Firefall" during the event. Throughout Earth's violent history, impacts from comets and asteroids have shaped its surface. Terrifying and majestic, these invaders from space are capable of utter destruction, yet they have delivered life-giving water and most of the organic materials necessary for life. Show times are 10 and 11 a.m., noon, and 1, 2 and 3 p.m. Children must be at least 4 to be admitted into the planetarium. Regular museum and planetarium admission will be charged. Parking is free in front of the museum.